I am frequently asked: what are the best books on investing? How do I develop my investment philosophy and process? How do I become a good investor? I have mentored many aspiring investors, and I also teach the Value Investing Seminar at the F.W. Olin Graduate School of Business. The investing books that I describe below have helped many aspiring investors make their journey from a beginner to an investing expert. Earlier this year I gave a talk to students at Babson College on how to learn value investing and become an investor. You can watch the talk and the Q&A discussion that followed in this video. Warren Buffett’s annual letters are known for his wisdom on investing and many other topics. In the 2018 letter that was published last weekend, the following six insights stood out. 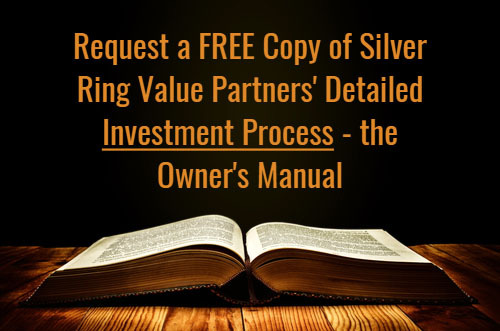 Gary Mishuris, CFA is the Managing Partner and Chief Investment Officer of Silver Ring Value Partners, an investment firm with a concentrated long-term intrinsic value strategy. Prior to founding the firm in 2016, Mr. Mishuris was a Managing Director at Manulife Asset Management since 2011, where he was the Lead Portfolio Manager of the US Focused Value strategy. Subscribe to Behavioral Value Investor! We respect your privacy and vow to keep your inbox SPAM free! Thank you! You will receive a confirmation e-mail - please check all of your folders.